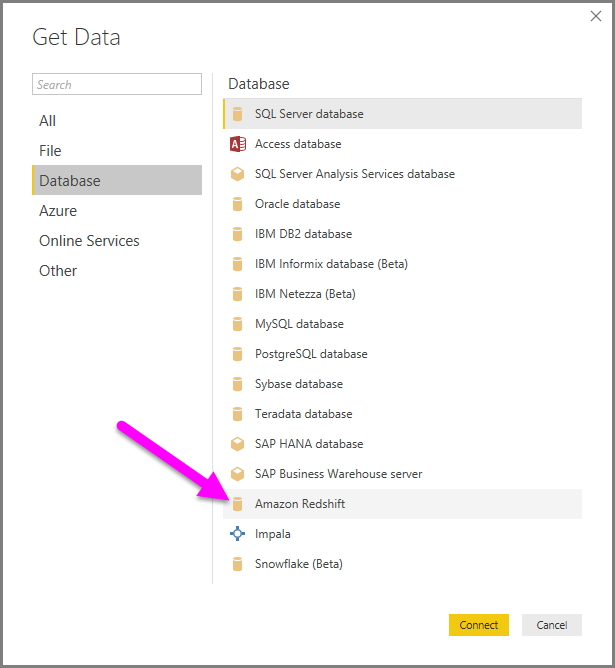 To connect to an Amazon Redshift database, select Get Data from the Home ribbon in Power BI Desktop. Select Database from the categories on the left, and you see Amazon Redshift. When prompted, put in your username and password. You should use the server name that precisely matches the SSL certificate to avoid errors. 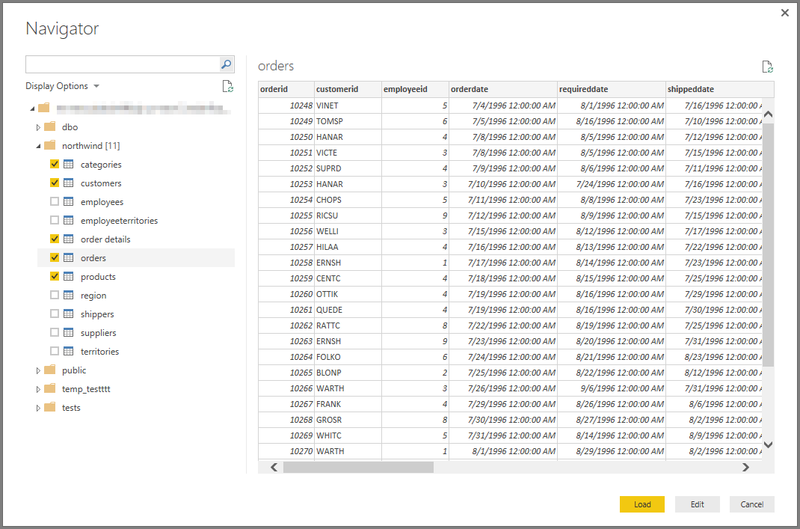 Once you successfully connect, a Navigator window appears and displays the data available on the server, from which you can select one or multiple elements to import and use in Power BI Desktop. Once you make selections from the Navigator window, you can either Load or Edit the data. If you choose to Load data, you'll be prompted to use either Import or DirectQuery mode to load the data. For more information, check out this article that explains DirectQuery. If you select to Edit the data, Query Editor appears where you can apply all sorts of transformations and filters to the data, many of which are applied to the underlying Amazon Redshift database itself (if supported).